iMindMap 9 Ultimate’s infinite Fast Capture canvas is the ideal starting point for unrestricted dreaming. Set personal, motivating goals by allowing yourself to explore boundless possibilities. Take time to think about what really excites you. Explore every area of your life: your career, your health and well-being, relationships, finances – anything that you dedicate time to, or would like to do in the future. Now, brainstorm your personal aspirations for each area. Don’t limit yourself here; no idea is too trivial. Swiftly capture any goals that you may want to pursue. When reviewing your web of Fast Capture bubbles, you may find these goals are more attainable than you’d previously thought. With Fast Capture View, you can forget formatting and structuring, and focus on exploring limitless possibilities using self-organising bubbles on an infinite canvas. The free-form nature of the Fast Capture View encourages you to think creatively and dream big. A radiant layout combined with single keywords triggers natural associations in your brain enabling you to produce endless options. Using iMindMap 9 Ultimate, in a single mouse click, you can effortlessly take your thoughts from the Fast Capture View to Brainstorm View and watch them morph into sticky notes. Brainstorm View is perfect for sorting, categorising and compiling information. You can use mini-boards to group your ideas into key improvement areas and highlight your sub-groups using colour coded sticky notes. Finally, you can bring order to your ideas in a second by using the Clean Up feature. With your ideas now condensed into an orderly brainstorm, begin to develop them into a clear plan of action using a Mind Map. Use your key improvement areas as the main branches of your map, and colour code them to highlight short, mid and long term targets. Outline the specific steps that you plan to take using child-branches. One of the most effective ways to do this is to visualise your outcome as completed, and work backwards to where you are now. Write down the steps that you have taken to get there in a logical order. Be sure to consider any surrounding factors that may have an impact on your plans, to evade any unwanted surprises along the way. 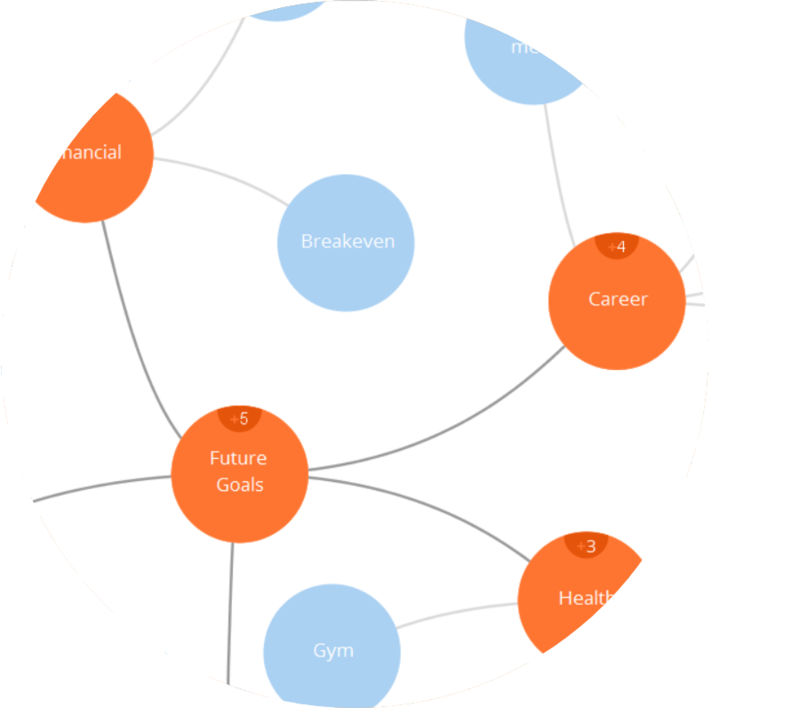 With a Mind Map you are presented with a visual overview of every element of your plan, so you can see connected information at a glance. Having this top down view gives you an unrivalled opportunity to make associations between key elements, and visualise the strongest path for success. 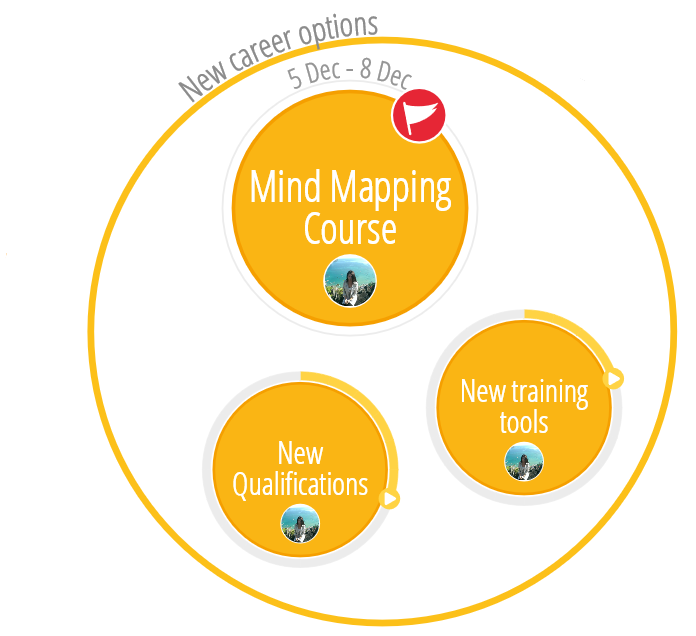 Mind Mapping will fortify your plan, whilst allowing you the flexibility to manage goals and adapt along the way. Using iMindMap 9 Ultimate, seamlessly switch from Brainstorm View to the Mind Map View and watch your sticky notes convert into a pre-structured Mind Map. Locating, organising, and editing your ideas is simple using the Outline Panel. Update and tweak your targets using it’s vibrant list format as a visual guide. In Mind Map View, it’s easy to attach supporting files, audio, images and links, such as financial statements, informative websites, and timetables to help you. Your attachments appear as link icons that open when clicked, so your map maintains its clarity. Ready to set your plan into action? 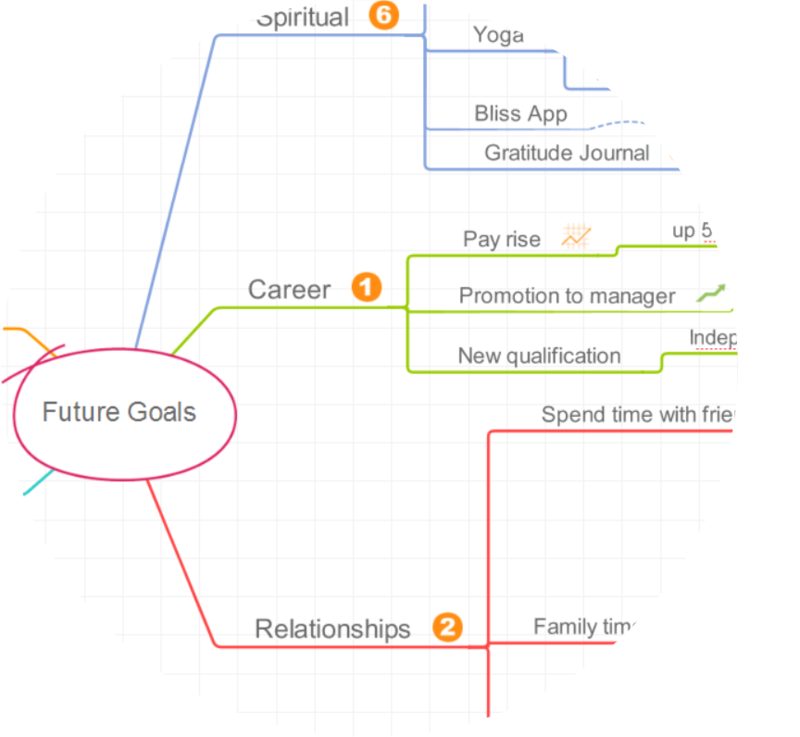 iMindMap’s integration with visual task management app, DropTask allows you to plan, manage and achieve your goals. DropTask simplifies your goal setting, providing a clear view on the status and progress of each of your targets. 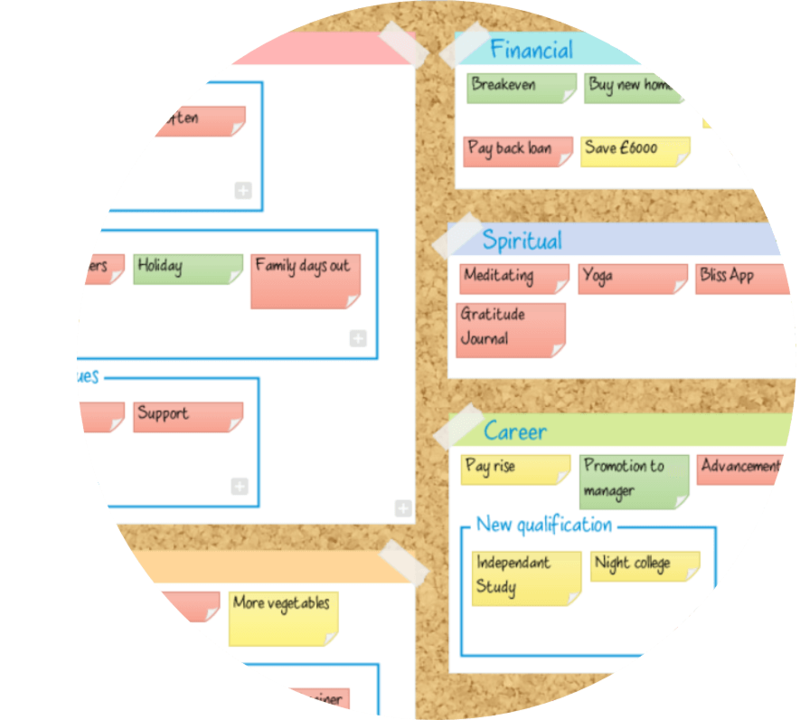 You can easily transform your Mind Map into a real-time project with DropTask. Set deadlines and prioritise urgencies in DropTask and refer back to your Mind Map to always keep the bigger picture in mind. This will make it easier to visualise your goals becoming reality, and help to maintain your motivation. Get ready to end the year on a high. Use iMindMap to break out of the summer slowdown, and pave your way to achieving something great before the end of this year.